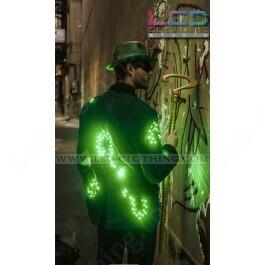 Riddler LED jacket | LED Clothing Studio Inc.
What should you do when you see a glowing green man? 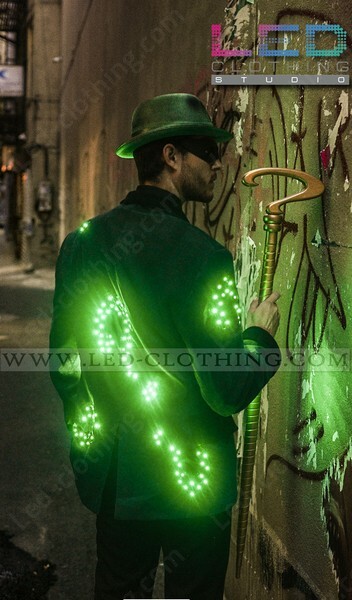 Life is full of questions, and we prefer to think of them as riddles.. Sheathe yourself in our custom Riddler LED jacket and you will definitely have the key to whole lot of riddles. 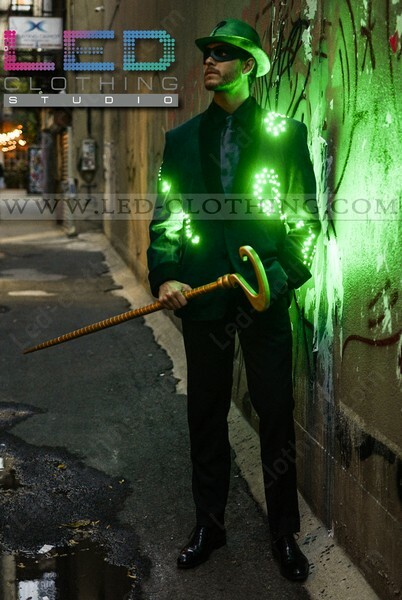 Supplied with SHOCKPROOF ultra bright LED bulbs of 6th generation LED garment will definitely impress you and the crowd with quite a number of light effects to pull off and the comfort you still get in there, simply awesome. 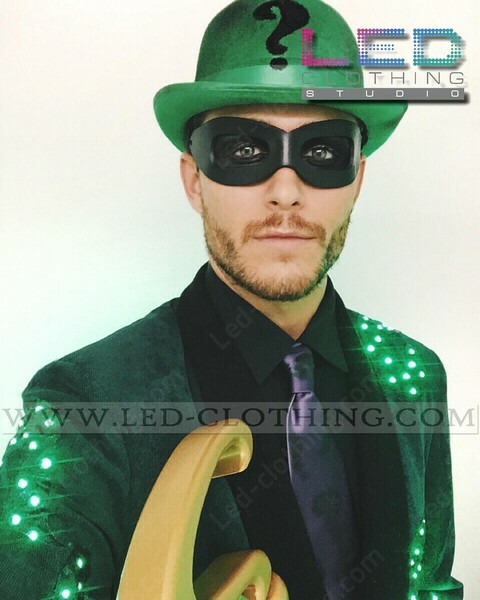 The jcaket is made at our LED Clothing Studio in Seoul,South Korea with premium quality SHOCKPROOF ultra bright LED bulbs of 6th generation and premium dark green velvet fabric, and powered by 10000mAh rechargeable batterie that lasts approximately 4 hours of continuous usage.